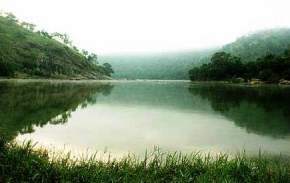 Bheemeshwari in the Mandya district is a beautiful and picturesque spot located at a distance of 100 kilometres from the city of Bangalore. 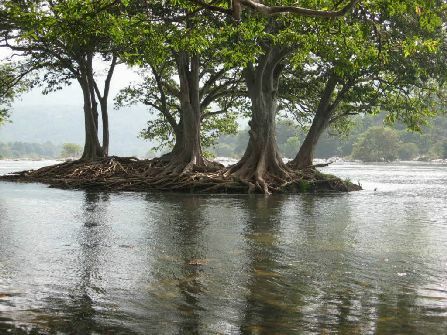 This spot, situated on the banks of the Cauvery river is also called the angler’s paradise. 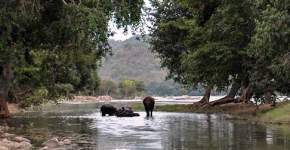 Bheemeshwari is the natural living place for fishes like Mahseer variety and a lot many other animals like the deers, boars, monkeys, crocodiles and otters. 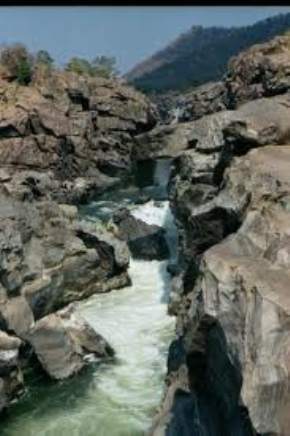 This picture perfect location is nestled between the Shivanasamudra falls and Mekedatu falls. 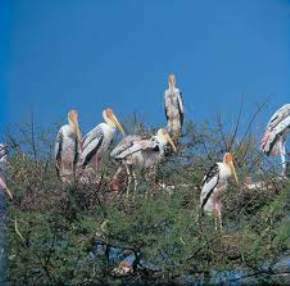 It is also houses a variety of exotic birds like the white-browed Bulbul, Sirkeer cuckoo, and the little woodpecker. This place is fast becoming a very important tourist location and is attracting a lot of nature lovers and environmentalists. 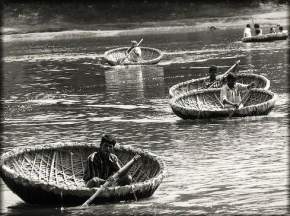 This is a naturally scenic place with fishing being one of the main fascination for the tourists. There are also ample opportunities for the tourists who are adventurous and love trekking. Boat rides are also available for people allowing them to glide into the forests to watch the beautiful birds and animals. Such scenes are breathtaking and lovely. 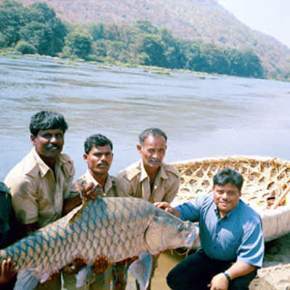 There are also a lot of angling hunts for the Mahseer fishes. It is one of the most interesting sports of this place. There are a lot of camps equipped with tents and cottages organised for these activities. These places are cosy and comfortable with food served with care and love. 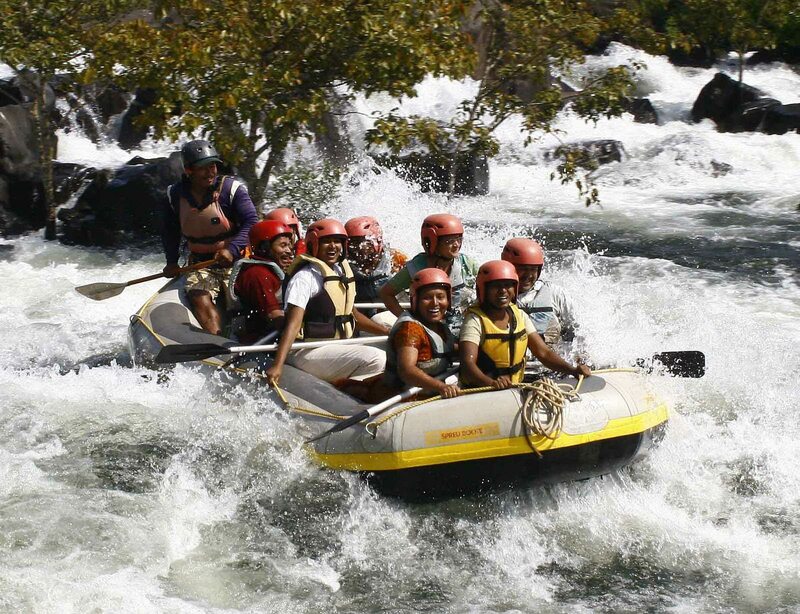 Mountaineering, rafting in certain seasons, camping and trekking are the main activities offered here for the tourists. The climate in Bheemeshwari is very pleasant throughout the year. The temperature ranges between twenty two degrees to forty degree Celsius. And the temperature in winter is from zero degrees to thirty two degree centigrade. The facilities for hotels and food are a bit limited in this place. Local Food is available at Muttati and it is very hygienic. 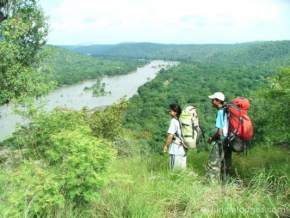 To reach Bheemeshwari is very easy and it is accessible through all the three routes via air, buses and trains.